The 32nd annual ArtFest, put on by the Northwest Museum of Arts & Culture gets underway this Friday, June 2 at noon in Coeur d'Alene Park in Browne's Addition. This outdoor festival of art, music, and food is also the unofficial beginning of summer, and is an important annual fundraiser for the museum. Artfest runs this Friday, June 2 through Sunday, June 4. There will be 150 juried art vendors presenting paintings, sculptures, photography, ceramics, jewelry and more. Kids can create their own art in the 'Make it Art' Kids Fair. Enjoy a weekend of Northwest bands - all new to the festival this year - playing an eclectic mix of jazz, rock, country, reggae, funk, and folk music. And sample fare from some of the city's favorite food trucks and vendors. The Beer Garden will feature beverages from River City Brewery and Townshend Cellar. ArtFest hours are: Friday noon-10pm, Saturday 10am-10pm, and Sunday 10am-5pm. For more information, visit www.artfestspokane.com or www.northwestmuseum.org. Live Nation presents David Blaine, described by Howard Stern as the greatest magician that ever lived, Live in Spokane, Wednesday, June 7 at 8pm. Blaine single-handedly redefined magic after producing and directing his original television special 'Street Magic' when he was just twenty-three, which Penn Jillette of Penn & Teller called "the best TV magic special ever done." Don't miss his live show, one night only in Spokane, June 7. Tickets available at the Box office, or by calling 509-624-1200, and at www.ticketswest.com or 800-325-SEAT. Over 100 local and regional bands will perform at this year's Volume, the Inlander's musical festival, this Friday, June 2 and Saturday, June 3 and venues all over downtown. For a complete list of bands, schedule, tickets and more information, visit volume.inlander.com. Beauty and the Beast - An adaptation of the fairy tale about a monstrous-looking prince and a young woman who fall in love. Rated PG. The Fate of the Furious - When a mysterious woman seduces Dom into the world of terrorism and a betrayal of those closest to him, the crew face trials that will test them as never before. Rated PG13. Born in China - Venturing into the wilds of China, 'Born in China' captures intimate moments with a panda and her growing cub, a young golden monkey who feels displaced by his baby sister, and a mother snow leopard struggling to raise her two cubs. Rated G.
The Rocky Horror Picture Show - A newly engaged couple have a breakdown in an isolated area and must pay a call to the bizarre residence of Dr. Frank-N-Furter. Rated R. Showtime Sat, June 3 at Midnight. The Goonies - In order to save their home from foreclosure, a group of misfits set out to find a pirate's ancient valuable treasure. Rated PG. Showtime Tues, June 6 at 7pm. For more details on showtimes, visit garlandtheater.com. This Saturday, June 3 from 8am to 3pm, the Friends of Manito will have their Spring Plant sale, at the parking lot East of the Gaiser Conservatory. Hundreds of plants, ornamental grasses, shrubs, garden art, kids' activities and much more. Friends of Manito members receive 10% off their purchases. For more information, visit www.thefriendsofmanito.org. This Thursday, June 1, local favorite Maxie Ray Mills performs. Vintage Collage by Shanda Woodward on display. Music runs from 5:30-7:30, $5 admission. This Sunday, June 4, Grand Avenue will perform 70s to 90s cover hits. Music runs from 5:30-Sunset, $10 admission. Live Nation welcomes Def Leppard with special guests Poison and Tesla to Spokane Arena on Wednesday, June 7 at 7pm. The tour also marks the first time in over 5 years that Poison will tour with all original members. 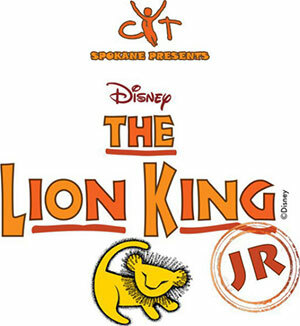 The African savannah comes to life on stage with Simba, Rafiki and an unforgettable cast of characters as they journey from Pride Rock to the jungle, and back again, in this inspiring, coming-of-age tale. Performances are Friday, June 2 at 7pm, Saturday, June 3 at 3pm & 7pm, and Sunday, June 4 at 3pm. Tickets available at www.cytspokane.org.